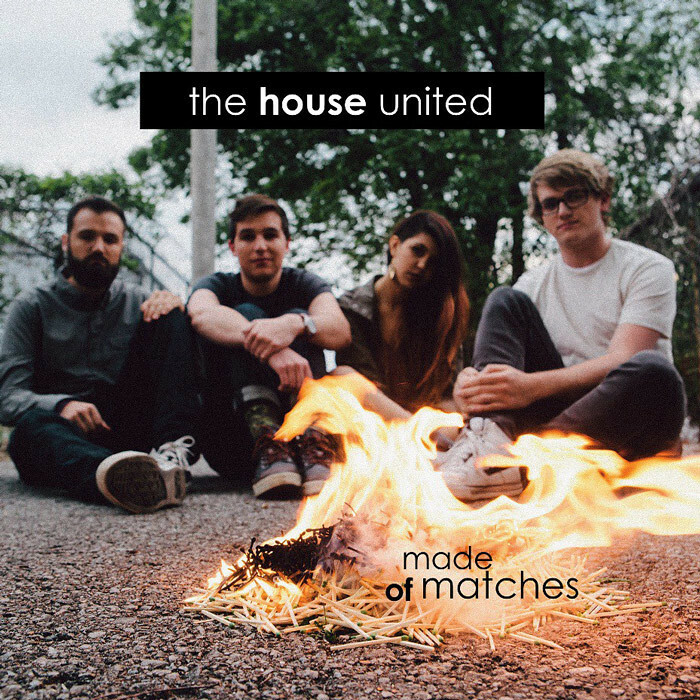 HOUSE UNITED CATCHES FIRE WITH DEBUT ALBUM "MADE OF MATCHES"
House United, hailing from Nashville, Tenn – has debuted their first album Made of Matches and it has the feeling of listening to a veteran band who has been playing for years. 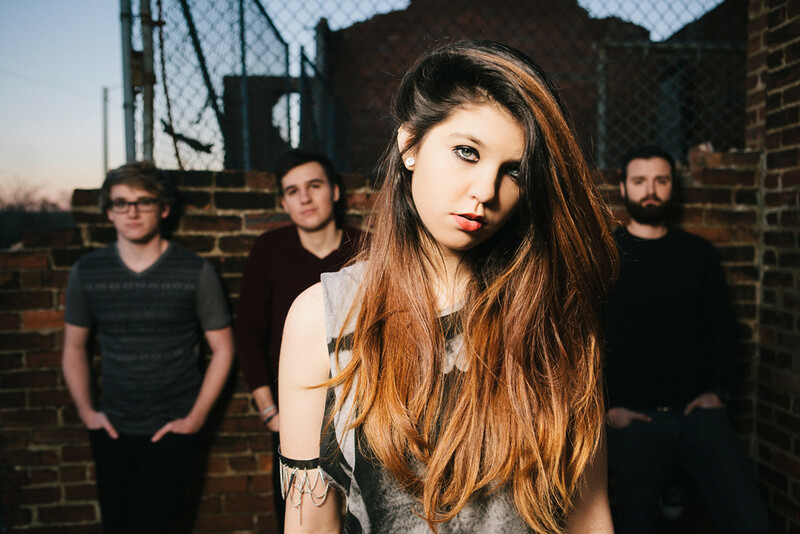 Led by 16 year-old lead singer Carmel P. Buckingham and backed by an explosive band consisting of Brandon Adams (guitar), Joe Gregory (bass) and Austin Arnold (drums), House United uses igniting and inventive arrangements to present their thoughts of destruction and loss. In a time that the art of the album has been lost with most contemporary rock albums feeling unconnected with a bunch of songs thrown together to make an album, House United is bringing back the concept album with Made of Matches - a rock opera that unifies their record with a single theme revolving around a central story of love and heartbreak. Setting the tone is their first lead single "Catastrophe" a rock ballad which plays loud and soft, with Buckingham crooning over an unhealthy relationship, over a love she admits is wrong when she sings "I've made the mistake of letting you in...But I'll do it all over for a love like we've had..Sorry I fell for a perfect catastrophe." That, in turn, leads to dealing with the intense emotions of falling in love in their single "Emergency." In the fast power rock "Stay Alive," Buckingham admits finding love is no fairytale and is willing to fight to work it out until there's the quick realization that love is a delusion in "Girls Who Can't Have Fun" as she sings "Love is for the dreamers searching for the one." The turning point rears its head in "Phoenix,' the rousing arena-ready rock anthem with shout-along choruses and spewing guitars. Even though emotionally hurt and bruised, Buckingham roars confidently like a phoenix rising from the ashes. And with aerial guitar riffs that evokes hope, the whole album swells to a rising close in "Who Am I. " Once dependent and broken, Buckingham's journey through insecurities, broken relationships and heartbreak has led her to become stronger, wiser and more independent. Rather than telling someone, she seems to be affirming to herself "I will be happy. I stood for something...Who am I if I had to hide." "Emergency" from the debut album Made of Matches by House United. Made of Matches also showcases the band's ability to cross musical genres. "Emergency" and "New Hampshire" echoes the punk attitude of Paramore and Tonight Alive, "Who Am I" whispers My Chemical Romance. "Fallin" borrows from reggae while "Out of Time" hints at sunny pop with the likes of Sara B areilles. But it's their more vulnerable songs like "Come Back Home" that hits the hardest. Over teardrop piano this sweeping ballad recounts the heartbreak of a broken relationship and showcases House United's talents transitioning from bruising rock to vulnerable tunes in a heartbeat. Considering House United has been a band for less than a year, they have accomplished in their first album what most bands strive to accomplish by their third or fourth album. Their aptly named debut Made of Matches, right off the bat, holds your attention with an aggressive sound balanced with the tenderness of Buckingham's radiant vocals, unleashing bruising rock with dramatic flourish. And it's going to be exciting, to say the least, to see what the future holds. Made of Matches could be the spark that rockets House United into the stratosphere.